Deloitte has unveiled plans to acquire API Talent in New Zealand, as the consultancy giant expands capabilities across Amazon Web Services (AWS) and cloud infrastructure technologies. Terms of the agreement will see the cloud specialists join the professional services firm across Auckland and Wellington effective 1 May 2018, with co-owners Wyn Ackroyd and Sebastian Krueger becoming Deloitte partners. “Deloitte and API Talent have worked successfully together on a number of client engagements involving the design and implementation of cloud-native applications, embracing the DevOps culture and leveraging the full AWS feature set,” Deloitte CEO, Thomas Pippos, said. “The addition of API Talent means Deloitte is better positioned to help clients realise the benefits of cloud computing and AWS-enable their business. "The capabilities of the API Talent team are relevant for organisations of every size and across all sectors. Many New Zealand organisations are in the early stages of building their AWS capability with a material wave of cloud adoption expected over the next three years consistent with global trends." Founded in 2014, Wellington-based API Talent specialises in serverless, API development and cloud native technologies, with key customers including StrataMap, Radium and Area 360. Alongside consulting and application development, the start-up also provides expertise through the delivery of next-generation managed services, specifically across the public sector in New Zealand. Operating as a certified AWS Managed Service Provider (MSP) partner, API Talent - which ranked 12th in the 2017 Deloitte Fast 50 - holds five service delivery certifications locally, employing the most certified team in New Zealand. Furthermore, the business became the first New Zealand provider to qualify for AWS DevOps competency, backed up by stellar growth across Wellington and the lower North Island. 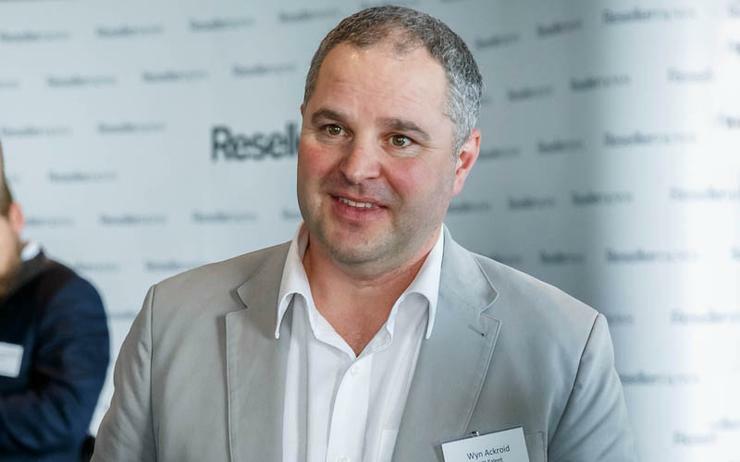 “By joining forces we can help accelerate the adoption of cloud technologies in Kiwi organisations,” API Talent CEO, Wyn Ackroyd, added. The acquisition of API Talent builds on other Kiwi technology related transactions Deloitte has completed in recent years, including the 2013 acquisitions of Asparona and Tango, alongside the 2014 merger with Diablo. Furthermore, the deal comes 12 months after Deloitte revealed plans to leverage the cloud expertise of five acquisitions completed in Australia within the last two years, as the consultancy house expands cloud capabilities through AWS. As reported by sister publication ARN, the professional services giant has employed 2,500 practitioners globally as part of an AWS-dedicated cloud practice roll-out, designed to “de-risk” migration of enterprise applications to the public cloud. Specifically, Deloitte is utilising the cloud platform to build and host more than 20 preconfigured SAP S/4HANA industry solutions. With Australia and New Zealand representing key parts of the global equation, the AWS collaboration builds on a number of technology related transactions and alliances Deloitte has achieved in recent years locally. As a result, the company will access expertise from architecture and integration specialists, Plenary Networks - acquired in October 2016 - as well as Melbourne-based systems integrator, Sixtree - acquired in July 2016 - and identity and access management services provider, Qubit Consulting, acquired in September 2015. Furthermore, the new practice will also be advanced through Oracle implementation services, identity management and cloud solution delivery experts, Dataweave - acquired in June 2015 - alongside specialist providers of cloud infrastructure, migration and management services, Cloud Solutions Group, acquired in November 2015. Does Oracle Cloud have an on-premises problem?